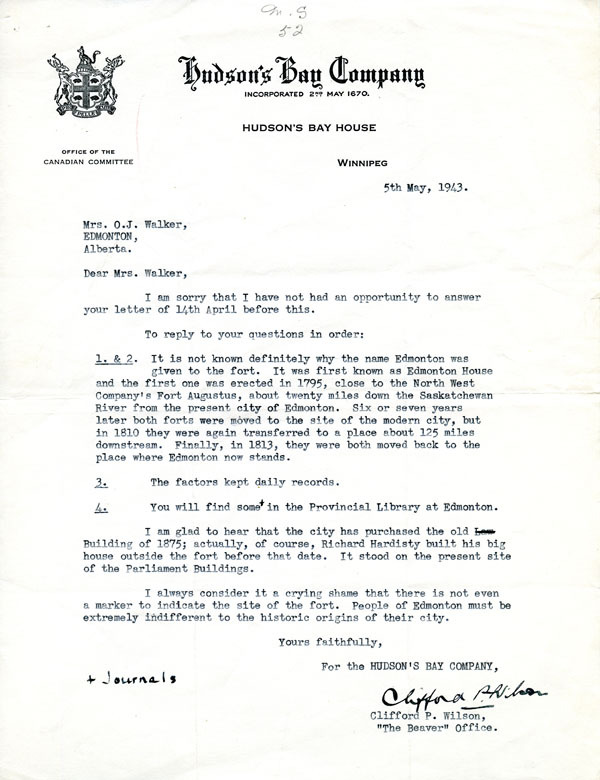 Edmonton and its history were very important to Ella May Walker and she used her creative talents to tell Edmonton stories and to encourage others to learn more. From painting history she moved to writing articles and a novel, Fortress North, on Edmonton's history. 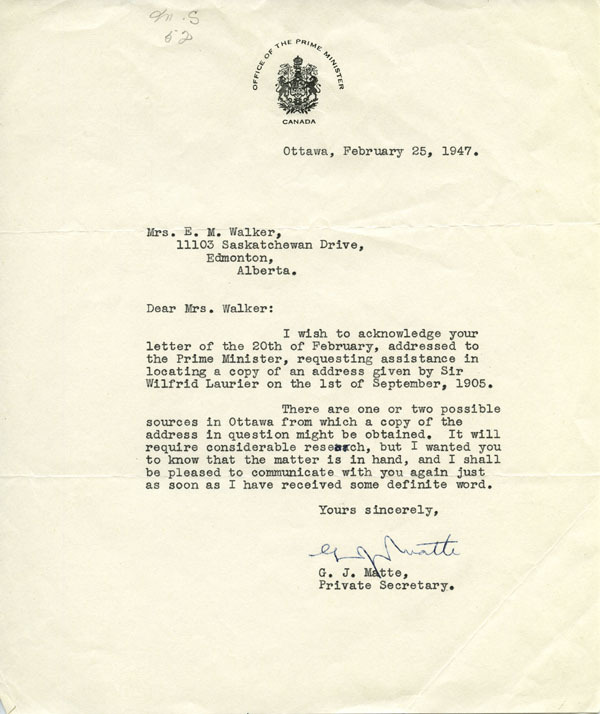 Ella wrote articles for several newspapers including the Edmonton Journal and The People's Weekly. She wrote about Edmontonians (past and present) but she also wrote regularly about music1. 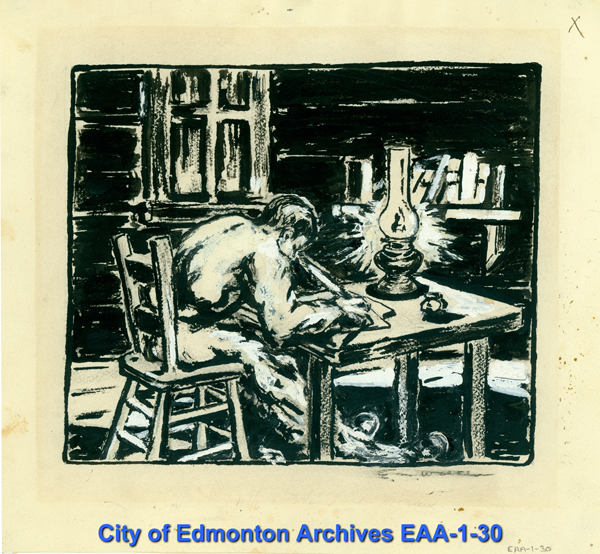 The City of Edmonton Archives has several of her articles, both working drafts and the final published versions. 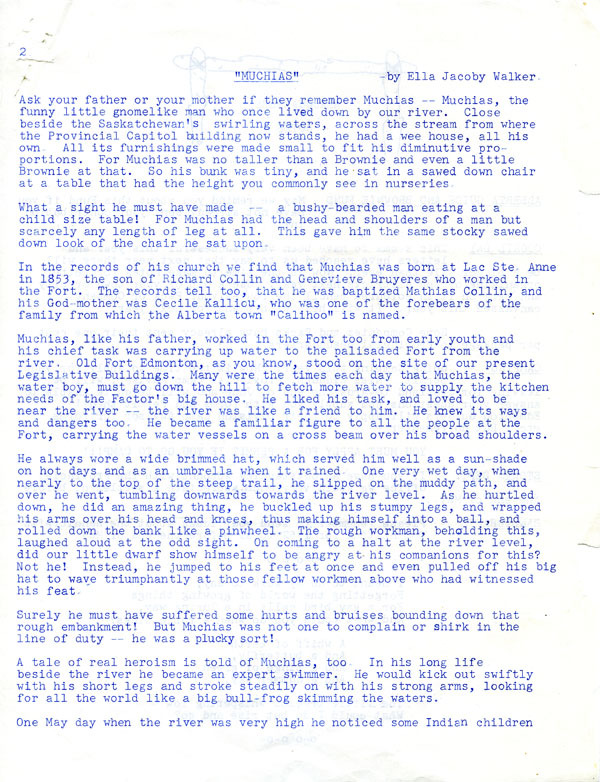 An example is this story on an Edmonton pioneer Ella wrote for Woodsmoke, a newsletter for Brownies and Guides. 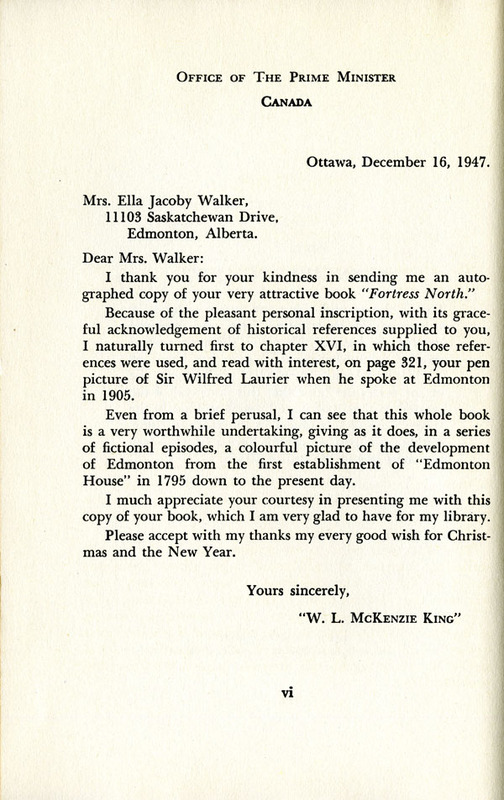 Ella was inspired to write a book during a 1942 exhibition of her paintings of historic Edmonton buildings. Mayor John Wesley Fry suggested that she write articles on the history of the buildings "as a contribution to the city archives. "2 Ella took this idea and ran with it. The novel Fortress North is a series of short stories covering Edmonton from the first Fort to the heyday of the City Centre Airport in the 1940s. 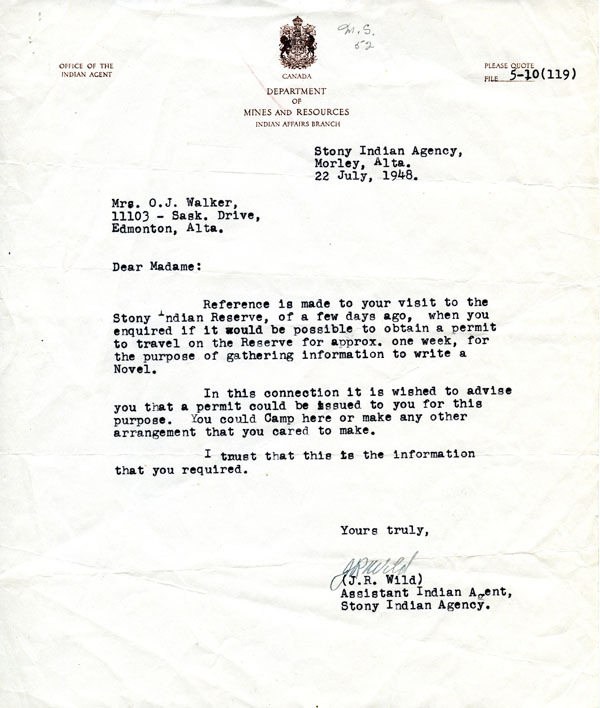 In order to create as accurate a picture as possible, Ella conducted extensive research ranging from interviewing surviving pioneers and aboriginals (as well as their descendants) to searching through records at the Provincial Archives of Alberta. 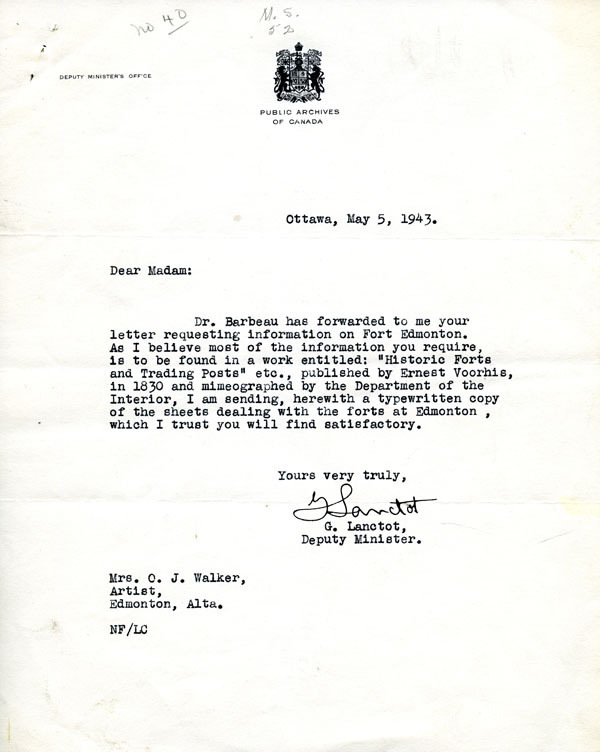 She also wrote to anyone she thought might be able to answer her questions, including the Federal Government and even the Prime Minister of Canada. 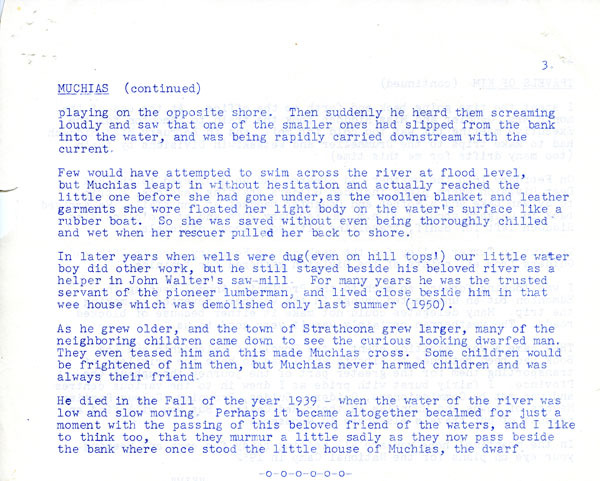 The Archives has a manuscript of Ella's novel and, while it's mostly complete, it does have some of her edits and it's interesting to see the novel as a work in progress. Also, the sequence of the chapters and some of the chapter titles changed from the manuscript to the published novel. 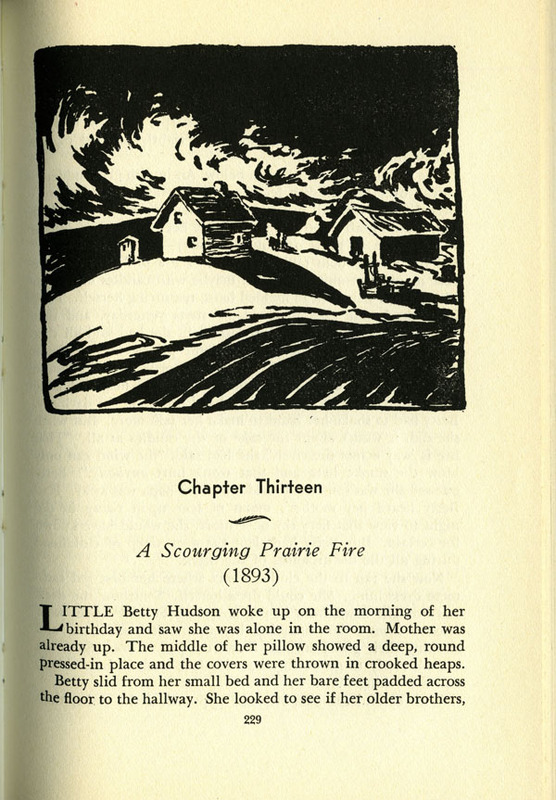 For Chapter twelve, "A Scourging Prairie Fire" of the manuscript kept the same name but became chapter thirteen in the novel. Caution - Some of the themes and terms used in older novels are offensive now, although they were acceptable when they were written. 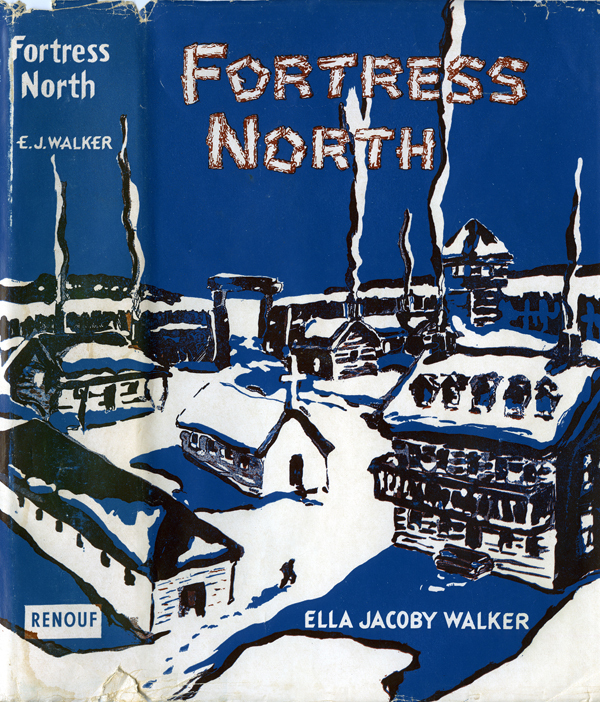 Copies of Fortress North are available in the City of Edmonton Archives non-lending library as well as through the Edmonton Public Library. Ella's book raises an issue facing all institutions that provide access to material written in the past. In many ways, people in the past had different values, language, and norms from ours today. Some of the themes and terms used in older novels are offensive now, although they were acceptable when they were written. Providing access to these materials does not mean an endorsement of those themes and terms. 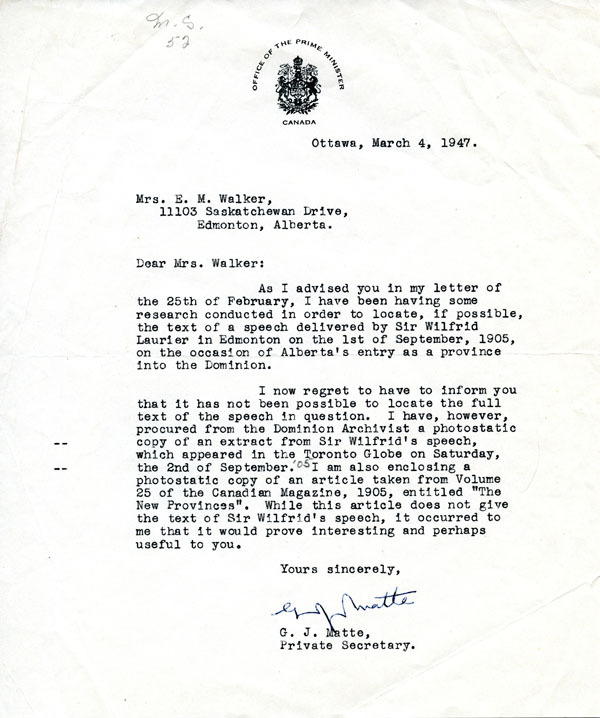 The City of Edmonton Archives recognizes that the novel Fortress North contains certain themes and some language that may offend some readers today. It is important to say that providing access to these materials does not mean an endorsement of those themes and terms.